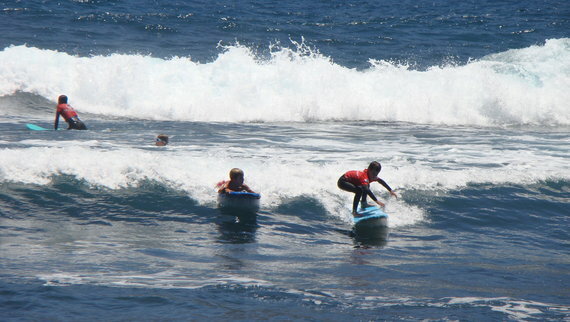 Courses of surf for children who are on holiday. So they can try this sport while on holiday. For this course there are 2 options: Classes by hour. Classes by day: half a day of 4 hours, 2 hours of practice, 1 hour physical and 1 hour of theory. 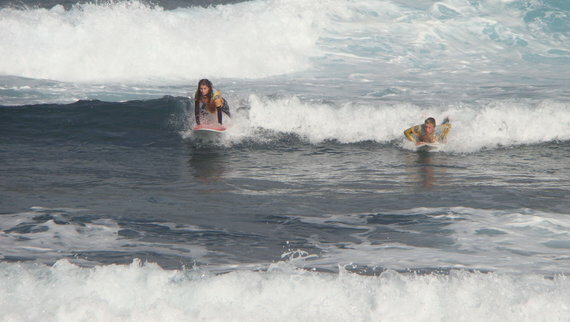 We have surfboards, softboards, bodyboards and flippers in diferent sizes to rent for hours or days. * Residents Canarios have special rates. 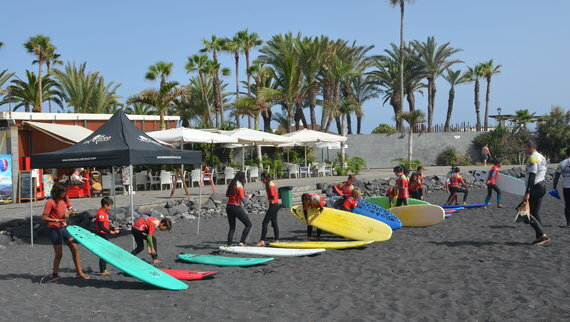 © La Marea Surfschool 2007 - 2019. All Rights Reserved.